NCRP SC5-2 was established in 2015 to address “Radiation Protection for Naturally-Occurring Radioactive Materials (NORM) and Technologically-Enhanced NORM (TENORM)” for oil and gas recovery. Because no funding was available for the project at that time, it operated cautiously, relying on opportunistic meetings and “in kind” support from contributing organizations. Given the early establishment of this SC, the framework was in place for formal activities to begin quickly after funding was received. SC5-2 is chaired by William Kennedy, Jr., with staff consultant John Frazier, and seven other members (shown above), including representatives from state and federal protection agencies, and private industry concerned with TENORM and issues of radiation in the environment (see http://ncrponline.org/program-areas/sc-5-2-radiation-protection-for-naturally-occurring-radioactive-materials-norm-and-technologically-enhanced-norm-tenorm-from-oil-and-gas-recovery/ for a full list of and biographical information on committee members). recommendations with regard to issues of radiation protection to fill the gaps in guidance that currently exist. NCRP SC 5-2 sponsored a workshop entitled “TENORM in Unconventional Oil and Gas Production” in conjunction with the Health Physics Society Midyear Meeting on February 1, 2015. The Committee will hold teleconferences and a face-to-face meetings in 2017. A draft table of contents has been prepared and writing assignments made, with initial drafts of sections due June 1, 2017. Opportunistic meetings are potentially planned at the Conference of Radiation Control Program Directors meeting in May 2017 and at the HPS meeting in July 2017, as well as other meetings when identified. has extensive experience as a project manager, task leader, and individual contributor covering a broad range of health physics and nuclear engineering topics. He received his BS and MS degrees in Nuclear Engineering from Kansas State University. Mr. Kennedy has been involved in the development of environmental pathway and radiation dosimetry models used to assess potential health and environmental impacts that resulted from releases of radionuclides to the environment. He specializes in the use of these models in environmental dose reconstruction, radioactive materials transport, radioactive waste disposal, and evaluation of nuclear facility operating practices. Over the past 37 y, Mr. Kennedy has led and contributed to a variety of projects for the U.S. Nuclear Regulatory Commission, the U.S. Department of Energy, the Electric Power Research Institute, and private industry. He has been involved with development of the technical basis for revised standards and regulations, and serves as the chair of ANSI/HPS N13.12, Surface and volume Radioactivity Standards for Clearance. He served as a consultant to the International Atomic Energy Agency (IAEA), Vienna, Austria, and was a member of the IAEA Advisory Groups to evaluate the Derivation of Exempt Quantities for Application to Terrestrial Waste Disposal and Derivation of Exempt Quantities for Recycle of Materials from Nuclear Facilities. He was an invited lecturer for IAEA training courses on Management of Radioactive Waste from Nuclear Power Plants at Argonne National Laboratory; on Safety Assessment Modeling for Low and Intermediate Radwastes in Rio de Janeiro, Brazil and in Cairo, Egypt; and on Environmental Monitoring in Kiev, Ukraine. In 1990, he received the Health Physics Society's (HPS) prestigious Elda E. Anderson Award. He served as a member of the HPS Board of Directors from 1998 through 2001 and was selected as a fellow of the society in 2002. He was a member of the U.S. delegation to the 10th Congress of the International Radiation Protection Association in Hiroshima, Japan. David J. Allard is the Director of Pennsylvania's Department of Environment Protection (DEP) Bureau of Radiation Protection; responsible for the accelerator, x ray, environmental surveillance, nuclear safety, radiological emergency response, radioactive materials, decommissioning / site cleanup, low-level waste, and radon programs within the Commonwealth. 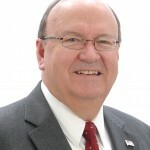 He is the Governor's official liaison to the U.S. Nuclear Regulatory Commission, and a Commissioner for the Appalachian States Low-level Radioactive Waste Compact Commission. Mr. Allard received a BS in Environmental Sciences from the State University of New York –Albany and an MS in Radiological Sciences and Protection from the University of Massachusetts – Lowell. He is certified by the American Board of Health Physics and a Fellow of the Health Physics Society. Prior to joining DEP in February 1999, he was a consultant to the U.S. Department of Energy on environmental and occupational radiation protection for 8 y. Mr. Allard has been involved in various aspects of governmental, industrial, reactor, medical and academic radiation protection for 36 y. He serves as a member or advisor on several national radiation protection committees, has authored numerous professional papers and reports, and lectures frequently on a wide variety of radiation protection topics and concerns. 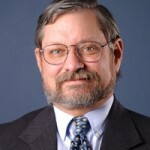 Andrew J. Lombardo has over 30 years of experience in radiation protection/health physics and the management of radioactive material sites including radiological engineering, hazardous and radiological waste characterization, project management, decontamination and decommissioning, and environmental remediation. 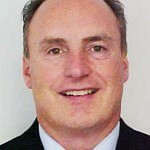 Mr. Lombardo currently serves as the Senior Vice President and Manager of Nuclear Services for Perma-Fix. Mr. Lombardo is an industry expert in radioactive material assessment and the characterization and management of naturally occurring radioactive material (NORM) and technologically enhanced NORM (TENORM). 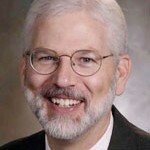 He received a BS in Natural Sciences in 1981 from Indiana University of Pennsylvania; an MS in Health Physics from the University of Pittsburgh in 1994; and is Certified in the Practice of Comprehensive Health Physics by the American Board of Health Physics since 1994.
is the Executive Director of the Conference of Radiation Control Program Directors. In that position, she manages and directs the administrative office for the organization. Prior to taking that position in January 2007, she was the Manager of the Radiation Safety Licensing Branch at the Texas Department of State Health Services, culminating 25 y of service in the Texas Radiation Control Program, most of which involved licensing and standards development. Ms. McBurney has served on the U.S. Nuclear Regulatory Commission's Advisory Committee on the Medical Use of Isotopes and the U.S. Food and Drug Administration's National Mammography Quality Assurance Advisory Committee. 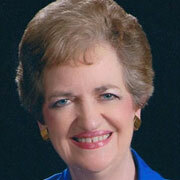 She is currently serving as a Member of NCRP, and is also on the Board of Directors. She served as a consultant to the International Atomic Energy Agency in the categorization of radiation sources and recently served on a committee of the National Academy of Science regarding replacement technologies for high-risk radiation sources. She has also been a U.S. delegate to the International Radiation Protection Association's 10th, 11th, 12th, and 13th Congresses. Ms. McBurney holds a BS in Biology from Henderson State University in Arkansas and an MS in Radiation Sciences from the University of Arkansas for Medical Sciences. She is also certified in comprehensive health physics by the American Board of Health Physics. This entry was posted on January 29, 2016 by Cindy.